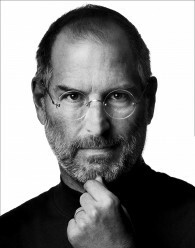 Technology guru to the gurus, Steve Jobs, didn’t subscribe to the “always connected convention” in his own family. Walter Isaacson, the author of Steve Jobs, spent a good bit of time with the Jobs family. Every evening Steve made a point of having dinner at the big long table in their kitchen, discussing books and history and a variety of things. No one ever pulled out an iPad or computer. Journalist Nick Bilton tells of a conversation he had with Jobs just as the iPad was hitting the market. Other tech parents share Jobs’s concern about the impact of technology in the home. Nick Bilton’s article, “Steve Jobs Was a Low-Tech Parent,” was published by The New York Times in September, 2014.